Let’s Plan Your MARIACHI MUSIC, STRESS FREE! Mariachi Los Palmeros VIP services is very sensitive to the romance, details, decadence and style that inspires so many of our engaged couples. We pride ourselves on making each wedding we play such a truly and VIP unique experience for our clients, Mariachi Los Palmeros pays close attention to the musical details and visual aspect of your wedding ensuring you hear exactly the songs and visualize that will make your special day even that much more…special. Our wedding clients and planners have continued to refer Mariachi Los Palmeros VIP services to countless friends and family members, we pride ourselves on the referrals of our wonderful wedding couples, we know how special weddings are and we feel honored and blessed to be a part of such a wonderful event, every single time! Mariachi Los Palmeros understands the stresses that go with planning music for your wedding – our intention is to help eliminate the stress that goes with finding a quality mariachi service. Our role for your wedding is more than just providing great music, but to help ensure your vision for the evening is accomplished in a timely and professional manner. 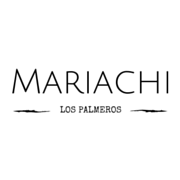 Mariachi Los Palmeros VIP wedding Services is equal parts music provider, emcee, and coordinator to help make sure your expectations for the evening are met and exceeded..
BE IN CONTROL OF YOUR MARIACHI HOURS!